BOINC Monitor shows BOINC tasks progress on your desktop computer. It comes packed with several customization settings that can be seamlessly figured out by all user levels. Once the file path to the BOINC program is specified, you can see all tasks and their progress bars, sorted in the order of finish. As far as setup is concerned, you can set the program to automatically scale the DPI, enable update notifications, choose the calculation approach between standard and advanced mode, show active WUs only, disable sounds when the flyout opens or closes, as well as customize the colors for the background and text, etc. Settings can be restored to their factory values with the click of a button. BOINC Monitor has minimal effect on computer performance, using low CPU and RAM. It has a great refresh rate and displays accurate information. BOINC lets you contribute computing power on your own home PC to projects doing research in several scientific areas. You can contribute to an individual project, or to any combination of them. 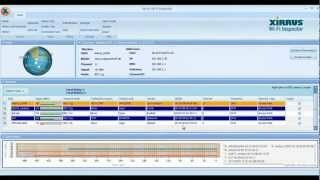 Download and install BOINC Monitor safely and without concerns. What do you think about BOINC Monitor? Download.hr periodically updates software information of BOINC Monitor from the software publisher (Igor Bushin), but some information may be slightly out-of-date or incorrect. BOINC Monitor version 9.85 for Windows was listed on Download.hr on 18.03.2019 and it is marked as Freeware. All software products that you can find on Download.hr, including BOINC Monitor, are either free, freeware, shareware, full version, trial, demo or open-source. You can't download any crack or serial number for BOINC Monitor on Download.hr. Every software that you are able to download on our site is freely downloadable and 100% legal. There is no crack, serial number, keygen, hack or activation key for BOINC Monitor present here nor we support any illegal way of software activation. If you like software product please consider supporting the author and buying product. If you can not afford to buy product consider the use of alternative free products. Is it safe to download and install BOINC Monitor? BOINC Monitor was checked for possible viruses by various leading antivirus software products and it is proven to be 100% clean and safe. Although, no malware, spyware or other malicious threats was found we strongly advise you to check product again before installing it on your PC. Please note that laws concerning the use of BOINC Monitor may vary from country to country. Please be sure that you are using BOINC Monitor in accordance with the law in your country. How to uninstall BOINC Monitor? How do I uninstall BOINC Monitor in Windows Vista / Windows 7 / Windows 8 / Windows 10 OS? Make sure the "BOINC Monitor" is highlighted and then make right click, and select Uninstall/Change. How do I uninstall BOINC Monitor in Windows XP? Make sure the "BOINC Monitor" is highlighted, then click "Remove/Uninstall." How do I uninstall BOINC Monitor in Windows 95, 98, Me, NT, 2000? Select "BOINC Monitor" and right click, then select Uninstall/Change.